There’s no obligation to participate. 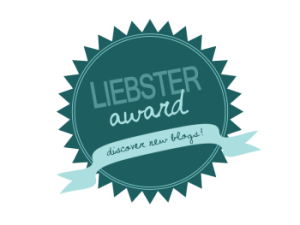 The bloggers who have been nominated must link back to the person that nominated them. When you are nominated, you cannot nominate the person who nominated you. Those nominated must choose eleven of their favorite bloggers to answer their own set of questions. 1. In how many languages can you watch a movie without subtitles? A: 4. English, Malayalam, Hindi and Tamil. 2. What food you prefer to have with a movie in a theatre? 3. Who is your favourite actress in action movies? 4.Who is your favourite actress in horror movies? 5. Name a recent celebrity who impressed you? 6. Name a wrestler you wish to see in movies? 7. How much does a usual movie ticket cost you? A: Somewhere between Rs.50 (0.82USD) and Rs.120, Rs.80 being most common. 8. Tell the name of the movie which disappointed you the most? 9. If you had replaced Megan Fox in T3 for someone, who would that be? 10. What’s the best thing about watching movies in theatre? A: You get to watch them first & also have a break from the neighbourhood. 11. What’s the worst thing that happens too often in the theatre? A: People kicking on the back of the seats.